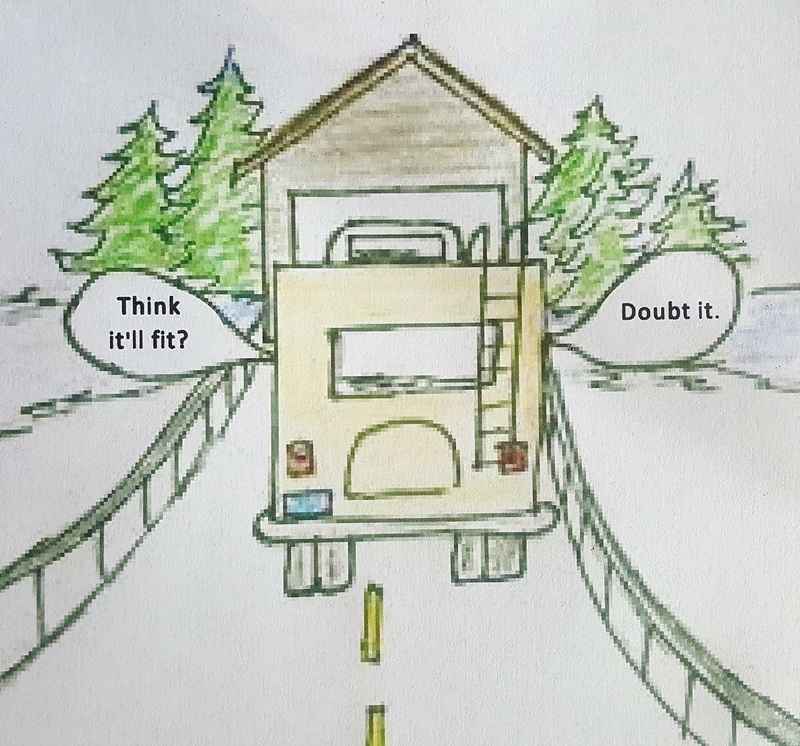 The Mister is planning a tail-end-of-the-season RV trip and keeps trying to persuade me to come along. I almost get swept up in the romance of it, almost. I know the minute I let my guard down, the RV gods will sock it to me. One minute, we’ll be rolling along fine, the next, the brakes will overheat, a tire will blow out, or we’ll miss one effing sign and end up on a gravel road in the middle of nowhere. Or we’ll hit a pothole and fail to notice that a bicycle bounced off the rack and has been dragging behind us, burning rubber and throwing sparks, for the past five miles. Once we’re settled in the RV camp, the dog will piddle in our bed, the coin-op washing machine will steal my quarters, and the unique mini-lights that were supposed to make our RV easy to find after dark will turn out to be so popular they’re on half the campers in our section. Never done RV. My wife won’t hear about it. I really like this one. All sounds idyllic but give me a hotel anytime. But always enjoyed the ride. very funny ….says it all about pitfalls on the road. This reminds me of that old movie, The Long, Long Trailer, starring Lucille Ball and Desi Arnaz. I don’t like RV’s either. I prefer getting good gas mileage and being able to park just about anywhere I want. And it seems no matter how much you save on motel rooms, it still costs more to own and operate an RV than to bite the bullet and pay for lodging. So what I am reading here, incredible as it sounds, is that you may not wish to go? I had to laugh! My Sparky has on several occasions suggested “camping” as a cheap alternative to the costs of traveling. I however refuse to sleep on the ground. We camped in our youth. Endured storms while attempting to sleep in a car, a small Toyota… there is misery and then there is camping!! Come to sunny Southern California: No insects; no rain; beautiful winter! You’re welcome to camp on my vacant lots which have a splendid view in three directions. (electricity available from the neighbors) BTW, I hope I’m not the only one who spit up her coffee at the “Will it fit?” cartoon placed almost immediately after the list of entertainment options.